A tad late on this, but I bet you’re a little busy right now, too. We do have some interesting news to talk about, though, so let’s get to it. You can check out the full press release here. The biggest takeaway to come out of the press release, at least for me, was the “S” word – i.e. supply. It’s still low. Considering Earth Day is Monday, let’s take a few minutes and talk about solar power. Don’t worry, I’m not going to go all “hippy” on you. Just hear me out. A new study by Zillow shows, “homes with solar-energy systems sold for 4.1% more on average than others nationwide in the past year.” Using the median King County price from the recent NWMLS press release of $622,500, that’s $25,522! “But this is Washington!” you say. “What is this so-called ‘Sun’ you speak of?” Well, you might be surprised how effective and efficient these systems can be. Check out your “Sun Number” before you jump to any conclusions. You may find a new money-maker for your design center AND help out the planet. 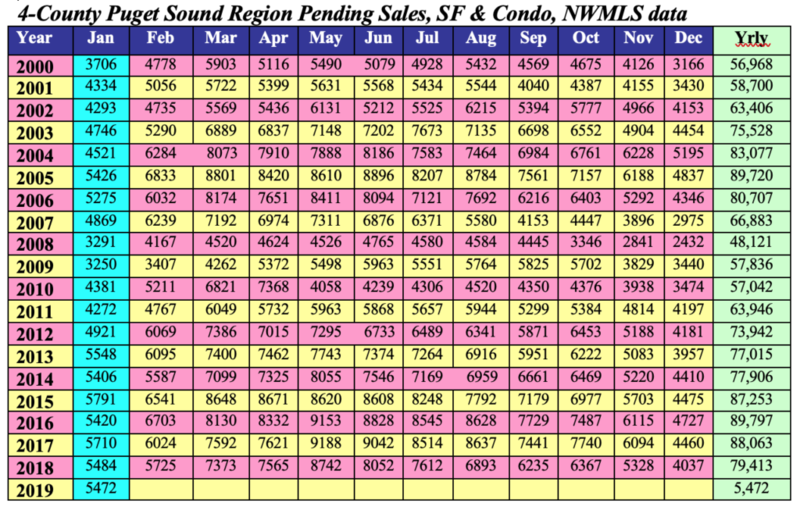 The latest NWMLS press release came out a week and a half ago so we’re a little late, but hey, somebody’s got to sell something. Anyway, in case you missed you it, it’s here. I’m sure next month’s will be close to the same as this month’s and the previous. However, here are a couple quick thoughts. Inventory is still an issue, or the lack thereof. We’ve seen a reset in pricing already occur, but there may be a bit more to go. Maybe 5%? This is straight conjecture on my part. Make sure your product is dialed-in. Make sure your pricing is beyond dialed-in. A 15% margin is better than 10%. So I was texting with Bezos the other day…Too soon? Following the decision to cancel their New York HQ2 plans, it would appear Amazon has decided there’s no place like home. 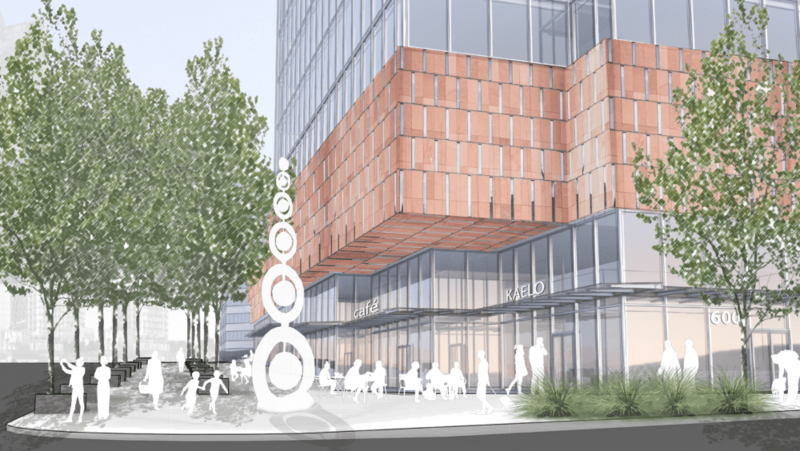 The Puget Sound Business Journal announced the company has put down non-refundable earnest money to buy the 600 Bellevue development. According to the PSBJ’s sources, Amazon is “considering taking property and projects for an additional 2.84 million square feet,” on top of the 1 million they already have in Bellevue. This is enough room for approximately 25,826 employees by their calculation, also known as roughly the number they were planning to house in New York. T-Mobile, the largest current employer in Bellevue, only has 6,200 employees. Amazon hasn’t commented yet, so we’ll just have to see how this develops, but I would be surprised if T-Mobile stays the largest for much longer. You may have detected a hint of sarcasm with our choice of the Words to Live By above. In the case of Washington’s Condo Act, the threat of spending more time in the courtroom than the boardroom has pushed practically all developers to go apartment. Now, we sit with an apartment vacancy rate of 18% in some areas (10.5% regional average) and rents continuing to fall due to oversupply (and, yes, market adjustment), yet, the demand for more affordable housing options is sky high. I won’t go into all the details of the situation (Mr. Bertolet already does a great job of that), but overall, it seems like a much-needed revision to get us back on track. I’m hopeful. For now, I’ll just leave you with this chart from the article. Those gray bars represent lost opportunity. This just about made me spit out my coffee. A large company investing $500M in programs to help solve the local affordable housing crisis? Really? This new investment by Microsoft is, “Likely the largest-ever housing commitment by an American corporation,” according to Samantha Sharf of Forbes. It’s hard to complain about the way Microsoft is going about it, either. Since it is cost prohibitive for many builders to build starter homes, they’ve decided to provide low-interest construction loan options to help make it an attractive segment again. Another $225M will also go toward “the preservation and construction of middle-income residences” and a grant to fight homelessness. Good lookin’ out, Microsoft. I’m very interested to see how this unfolds. The first MLS press release of 2019 is out. If you haven’t seen it, you can read it here. So here’s, like, you know, my opinion, man. Price for today. For right now! Inventory is low. Rates? Who knows. Prices are still up. Just not as much. We had it good. We ALL had it really good for 18 months, or so. The fact of the matter is people buy and sell homes in every market. We needed some realism and we got some. There is still some amount of uncertainty out in our little slice of the world. Much of it includes things we simply cannot control. However, we CAN control our product, our pricing, our presentation and our salesmanship. Don’t be a nihilist. Stay in the process and the results will follow, man, or dude, or whatever. In case you haven’t heard, which would be shocking, this weekend the “Seattle Squeeze” begins with the closing of the Alaskan Way Viaduct, FOREVER. Personally I prefer “Viadoom” or “Carmageddon” now that I’ve heard The City banned the use of those terms. 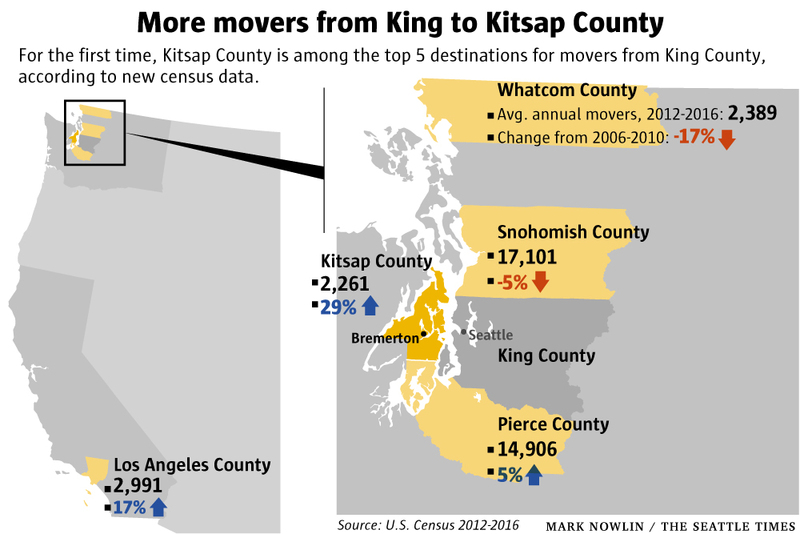 The Seattle Times recently published about the great migration to Kitsap County, placing it in the Top 5 counties targeted by King County movers. It also holds the highest growth percentage, up 29%. So, if you thought a 30-minute Fast Ferry commute was going to solve your problems, then you’re not the only one. If you’re a builder who got in early, well played! Just being slightly facetious here. I love getting asked those questions and I hope they never stop coming. So in any event, here’s the press release. I do think we’re in a new market today. It’s not changing. It’s changed. The better question is, “Changed to what?” Of that I’m not sure. There are too many factors to consider that I, unfortunately, cannot control, like tariffs, material costs, wage costs, the City of Seattle, Amazon, etc. 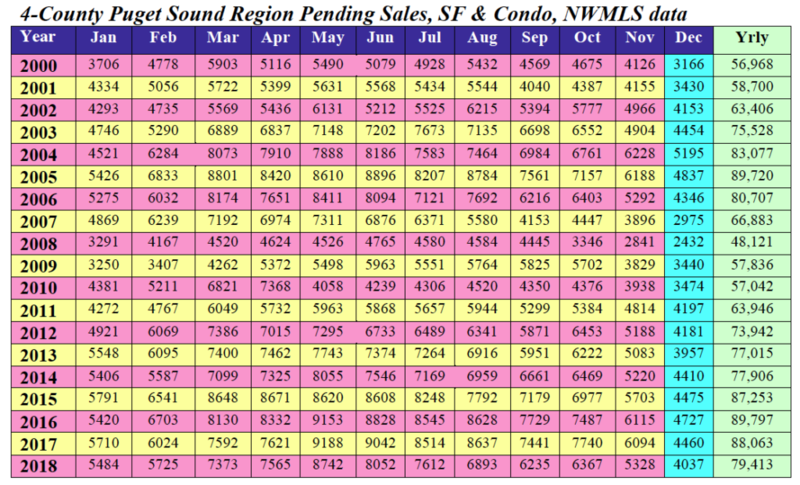 What I do know is inventory is up to a scorching 2.3 months of supply. I believe we’re not going to continue to see the bi-monthly, or tri-monthly, price increases we’ve enjoyed over periods in the recent past. Finally, I also know homes sell in good markets, in bad markets and in transitional markets. So, at a micro level, if somebody asks you how the market is doing, ask them how their market is? How is their work situation, credit and other qualifying factors? They might argue their individual market is OK, and, for me, that’s alright. Recently, someone (not in our market, FYI) mentioned to me the week following Christmas is one of the busiest of the year for home buying. I immediately started to think back to past years, and while I do remember more traffic on the week after than the week before, I guess I didn’t notice a huge difference. That being said, I have always thought this is when the savvy shoppers are out in the market looking for year-end deals. After some research, I was able to find some national analysis on the subject. 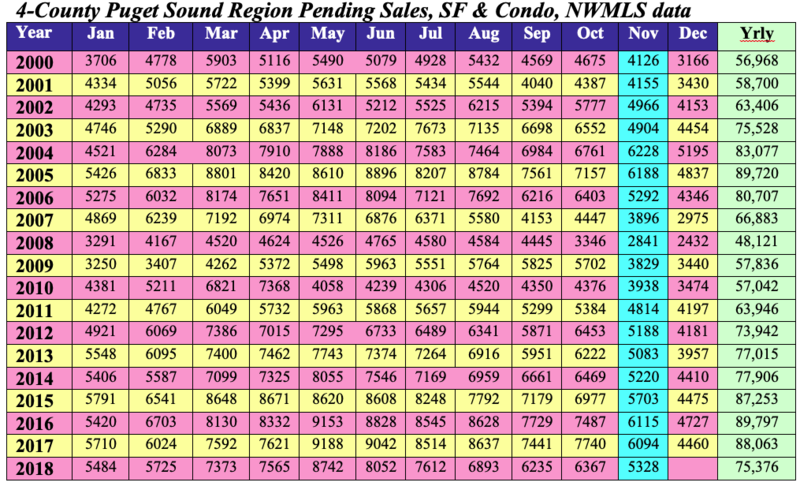 A few years back Realtor.com posted a trend report showing December 28th as one of the biggest traffic days of the year. In a more recent story, Realtor states typically, “views per property are 21 percent lower in December than they are during the rest of the year”. However, the rest of the story goes on to talk about why this year could break the mold. I also found this report from ATTOM Data Solutions. They looked at discounts based on closing date of a sale over a four-year period. 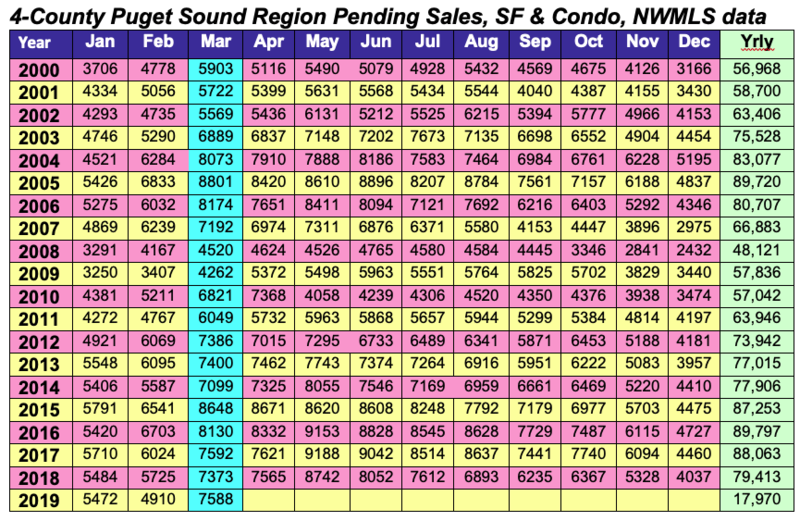 Their conclusion was 7 of the 10 best days for real estate closings (from a buyers’ perspective) were in December, with closings on the 26th receiving the best deals. Given a 30-day closing period, this means people were probably out shopping in November right around Thanksgiving to hit those closing dates. All of this to say, it’s clear the last week of the year is an important one. Buyers know builders have inventory to move and are less likely to face competition with their offers. The people we talk to are going to be highly-motivated. Whether we’re working on closings or meeting with new potential customers, it’s probably going to be busier than 2017.